As US companies are taking advantage of tax breaks to repatriate foreign-held balances, Europe is facing what seems to be almost a quaint problem in today’s USD-printing-press world: a shortage of those very same US dollars, which could cause liquidity issues. 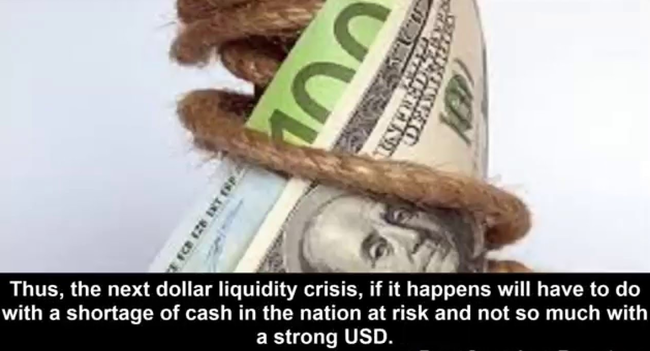 The European inter-bank market is going through the biggest shortage of US-dollar liquidity in nearly nine years. According to analysts, US tax reform may be behind the largest deficit since the financial crisis. As the Federal Reserve took a more hardline position towards the US monetary policy, LIBOR, a benchmark rate tied to finance products and debts of over $350 trillion, soared to the highest level in over eight years. Current unsecured dollar loans for the last three months are forcing European banks pay 2.2 percent in annual interest, according to financial news website Finanz.ru. The figure shows that dollar loans nearly doubled in price in the past six months. In November, there was a 1.38 percent interest rate to borrow dollars. The monthly rate increased to 1.82 percent compared to 0.15 percent in 2015.